Chris holds a B.Sc. degree in Fisheries and Wildlife (2009), and a M.Sc. in Conservation Biology with a minor in Entomology (2012), both from the University of Minnesota. Chris' interests are broad and include: applied research; natural history; spatial ecology; ecological infrastructure; and the role of citizen science in conservation. Chris is certified by The Wildlife Society as a Certified Wildlife Biologist®. 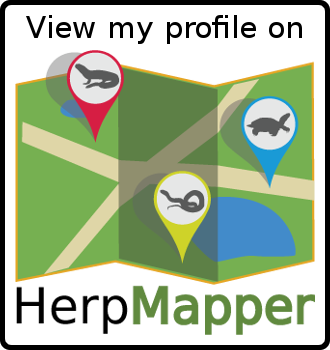 He co-founded HerpMapper, a 501(c)(3) citizen science organization, and currently serves as a Project Administrator and Director. Chris also sits on the Board of Directors for the Center for North American Herpetology (CNAH). Current research focuses on the implications of various land-management strategies on wildlife occupancy, population dynamics, and spatial ecology with an emphasis on endangered species.